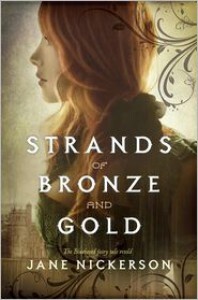 Strands of Bronze and Gold was a complex, beautiful, disturbing book that excelled in every way. Jane Nickerson was able to reimagine a classic tale that sent many of us to bed with nightmares, and set it in the surprising world of pre-civil war Mississippi. This combination seems beyond strange at first, but soon it’s clear just how perfect it really is.The writing was so rich and vivid. 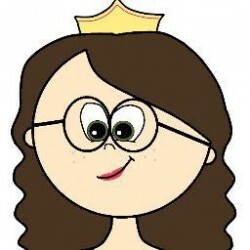 I could feel the sweat dripping down my face as I read about the sweltering hot summer. I felt Sophia’s initial attraction to Bernard, despite knowing what would be coming next, and later on her unease. In many ways I was inside Sophia’s head. I don’t think I’ve ever had such a surreal experience while reading a book.Bernard was a terrifying character. When the reader is first introduced to him, you can tell there’s a little something off about him, but you’re not quite sure what. And while the reader is trying to figure out what the heck is up with him, he’s using his impressive acting skills to enchant Sophia, who’s slowly falling for him. But once she falls, she realizes she’s stuck in a deep, dark hole. After Bernard has ensured that she won’t leave, his true colors begin to show, and Sophia finds herself in the middle of shocking abusive relationship.Even through all that comes from living with Bernard, Sophia remained strong. She starts off somewhat shallow and innocent, but she quickly begins to mature and quietly begin to develop some independence. There were some points where Bernard was pushing her far out of her comfort-zone, but she still managed to keep her voice, when others would’ve gone silent.The book started off rather slowly, which I know can turn some readers off, but I enjoyed the slow but steady pace which provided the reader a chance to get to know the characters before the pace picks up and strands of mystery begin unraveling (I just had to do it). My only complaint is that I was able to predict the majority of what happened because of being familiar with Bluebeard beforehand, but that’s my problem. It was an extremely faithful retelling, but luckily Jane still had a few tricks up her sleeve.Moderate sexual content and mature themesBernard is very fond of Sophia in that way. There’s kissing, mild touching, and very close to the end he practically rapes Sophia. Beyond that, he’s a brainwashing and controlling jerk who indoctrinates Sophia with lies and falsehoods, especially revolving around what a healthy relationship is. She’s able to discern some of it, but it still takes a toll on her emotional and mental health.